It’s time to stock up and preserve the harvest here in Wisconsin. Many farmers’ market shoppers have been busy lately, putting up canned tomatoes, dilly beans, salsa and various jams and jellies. Canning is just one option, however. For many people, freezing is an easier and more tasty choice. Frozen fruits and veggies do not need extra salt, sugar or acid to be safe. Some vegetables will benefit from a process called blanching. To blanch vegetables, simple put them in boiling water for a short amount of time. The amount of time varies with different vegetables. For best results, consult a blanching chart to get the time right. You do not want to cook the veggies, just to kill the enzymes and bacteria that can cause faster spoilage. After blanching, cool your vegetables quickly in an ice water bath or cold running water. Then dry them before placing in freezer bags. Frozen fruits and vegetables will keep for up to six months in the freezer. For even longer storage, you will want to use a vacuum sealer. Watch the video below to see how easy it is to use a modern vacuum sealer. Produce that has been properly vacuum sealed and frozen will keep up to five times as long as items that are just bagged in a zipper top bag. 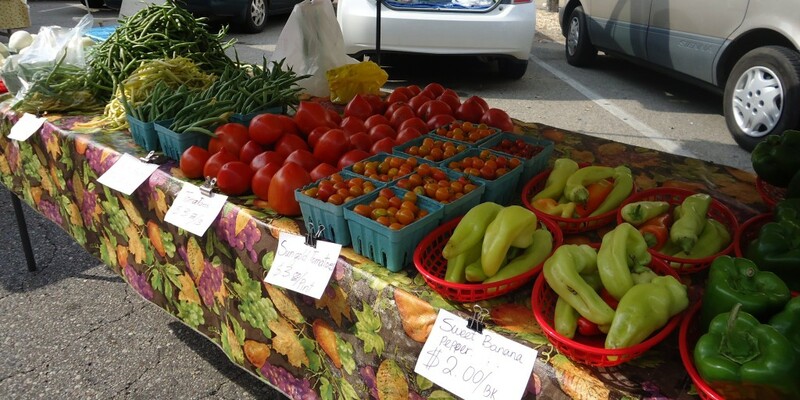 This year, our market has been participating in a program called Discover Market Fresh. Through this program, we have been able to offer vacuum sealing with a FoodSaver System at our market July through September. 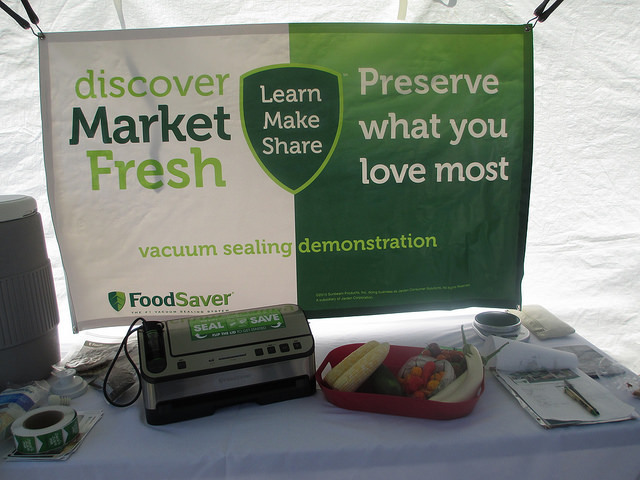 Stop by the Janesville Farmers Market booth to learn more about vacuum sealing and pick up a coupon for FoodSaver products.